Are Moss Walls Really Real Green Walls? 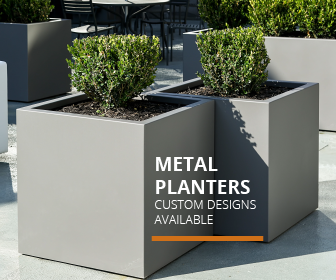 Recently, albeit a little later than planned, I had the pleasure of meta-attending a Webinar presented by Joe Zazzera of Plant Solutions and hosted by AmericanHort. The topic was an introduction to moss walls. 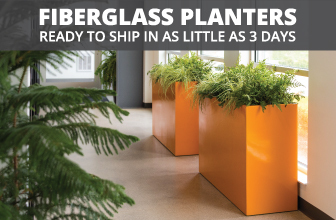 For those who haven’t seen or heard of them or maybe secretly don’t like them, they are becoming increasingly popular as a lower-cost alternative to living green walls. Both lesser and greater versions of moss walls can be found and have been discussed, sometimes with levity, on industry-focused social media platforms and in interior design and architectural publications. Typing the term into the YouTube search bar will yield examples across the spectru; from astro-turfed foyers to multi panel, multi story, multi species masterpiece installations in 5 star hotels. 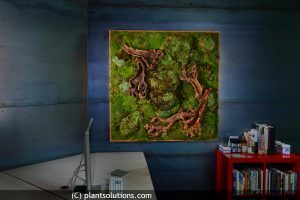 We can all probably recite at least half of the biophilic design principles a living green wall embodies but you’ll likely start slowing down doing the same for a moss wall. The former is, after all, alive and the latter is obviously not. I must admit, I myself have been in a quandary in this regard. As I discussed in a previous blog, mere suggestion, images, videos, the plant order Plastica, and even stimulated memories can evoke many of the biophilia responses in us. Albeit almost always to a lesser degree, it is easy to see how preserved moss and lichens could do the same. The old guard may be less inclined to soldier the concept of preserved plants, feeling they contribute less benefit than live. One thing Joe mentioned in passing was an uncertainty about what could collect on moss walls, dust and possibly undesirable trace contaminants. That question peeked my interest in a new but also old way. I’ve had the benefit and great pleasure of transiting the continent in order to watch moss grow in the present and also how it grew in the past; coast to coast to coast, in the great basin, above the treeline, in the permafrost and on the summits of mountains. One season, I agreed to collect the source species material to be used by Environment Canada in their Moss bag air quality monitoring program. Later, the lab I was associated with became involved in bioreactor generation of devitalized moss for various research purposes. The use of moss for air quality monitoring has been growing steadily and internationally, since at least the late 1960’s. In the late 70’s, moss bags were employed successfully in Northern Scotland in epidemiological assessments of metallic air pollution in proximity to foundry’s and linkage to respiratory disease. More recently, moss was used in an instrumental way in Portland Oregon, the first state to ban coal fired power generation, when a US Forestry Service research project investigating hydrocarbon absorption and deposition on mosses throughout the city stumbled upon unusually high levels of the trace metals cadmium and chromium as well as arsenic. The point sources were identified quickly and corrective measures were successfully implemented and resulted in the creation of new laws. Mosses and lichens possess many morphological and anatomical adaptations that make them ideal passive and cost effective monitors of environmental contamination, over the short and long term. They are each ectohydric, meaning they rely entirely on external sources for hydration and nutrition as well as diploid reproduction. The need to secure nutrients from the atmosphere requires an efficient cation exchange capacity(CEC), the ability to attract positively charged nutrient ions. The absence of a cuticle enhances the process. Moss and Lichen CEC makes them ideal for studying known hazardous air quality indicators such as polycyclic aromatic hydrocarbons (PAH’s). Many of which are present in contemporary commercial and residential construction materials; cleaning solvents; combustion engine vehicle exhaust, and wood and solid waste incineration. They also absorb toxic trace metals such as the aforesaid cadmium and chromium, lead, copper, zinc, Iron, and many other air contaminants such as sulphur and nitrogen and their oxides. Moss bags, dry or wetted, devitalised or not, treated with EDTA or not, have been demonstrated to be effective in many urban, industrial, and back ground research undertakings. The results invariably illustrate, in an evidence based manner, that large scale, cost effective monitoring can be undertaken and provide valuable real time information which can be used to respond to existing, unknown, and/or novel impacts on air quality. One question that springs to mind is this: can moss walls be used as a component of large scale monitoring for air quality? A second question then arises, are preserved mosses and lichens as efficient at absorbing known toxins as their live or devitalised kin? It has been demonstrated that devitalised specimens (heat treated at 120 degrees celsius) subsequently treated with EDTA, most often employed as the salts disodium EDTA and calcium disodium EDTA, enhance cation absorption. It is used in many applications including food and beverage preservation (in canned soda, for example, to prevent the formation of benzene) almost exclusively as a metal cation sequestration conjugate. The mode of action is essentially that of a magnet. Presently, commercial moss and lichen preservation consists primarily of heat treating and submersion in a salt/dye/glycerine solution. The dye stabilises and enhances the aesthetic qualities of the specimens whereas the salt and glycerine reduce decay and desiccation respectively. I know of no commercial horticulture or floriculture operators currently utilizing EDTA as a preservative in their process. I cannot locate any research on the effect of glycerine and/or dye on the CEC of preserved moss or lichens, however, my chemistry background informs me that even if some of the exchange sites are seized, the overall ability could be enhanced with the addition of EDTA. Returning full circle to my main question: are moss walls really real green walls? 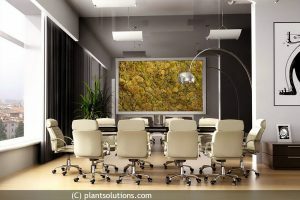 I am compelled to answer in the affirmative, not only can they be demonstrably proven to evoke the biophilia response, but they can also provide every bit as much of an indoor air quality scrubbing technology and application as an array of live plants and living green walls. Give the application some thought, see how it can fit into your business development philosophy, people like Joe have been working hard to build the foundation and your mission, should you choose to accept it, is to soldier forth into the brave new world using every tool at your disposal. Chris is a plant biologist and forester who has dedicated over two decades to plant ecology research in addition to acquiring almost 20 years of experience in the garden center and florist sector. He graduated from Trent University with an Honours degree in plant biology and from Sir Sandford Flemming College with a diploma in Forestry. As an ecologist, Chris has been involved in many projects, large and small, from government directed natural resource management audits and climate change research with carbon sequestration in permafrost peatlands to natural vegetation restoration following disturbance. As an garden center and florist business owner in the Lower Mainland of British Columbia, he has born witness to the tremendous change that has occurred in the horticulture industry over the past twenty years.